Warwick Long Bay is not as busy as the other beaches in the area as it is exposed to southerly winds but it is popular with dog walkers and joggers, and there is a horse trail close by. In this area you can also find some delightful secluded spots such as Jobson Cove and Chaplin Bay. Warwick Long Bay is a nice long beautiful beach, but be careful swimming there. It can be reefy. This magnificent Warwick Long bay beach lives up to its name as the beach is close to half a mile long. Against a backdrop of grape and cedar trees and low grasses, this beach is a long and beautiful stretch of pink sands. Warwick Long Bay Bermuda lies on South Shore Park in Warwick parish and to the east of Horseshoe bay beach. Bermuda consists of about 138 islands and islets, with all the major islands aligned on a hook-shaped but roughly east-west axis and connected together by road bridges. Despite this complexity, Bermudans usually refer to Bermuda as “the island”. Bermuda’s 28 square miles are mostly suburban, residential neighborhoods and golf courses (the world’s highest concentration of golf courses, in fact), making it especially attractive to middle-class retirees, whether settling or just vacationing. Bermuda offers some of the best beaches in the world. 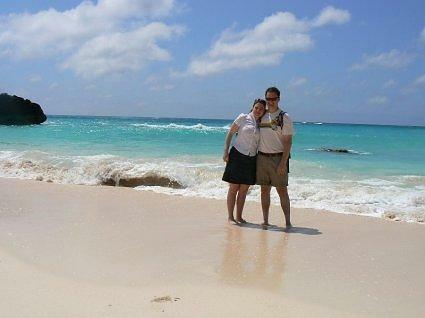 With pink powdery sand and clear blue waters, a Bermuda beach will surely be your choice even for a weekend getaway. Warwick long bay Bermuda is full of little coves and rocks. The main entrance to the beach is at the west end. A short road winds down to a car park. After the hurricane in 2003, the popular snorkeling spot Church Bay was closed to the public for sometime and the snorkeling concession stand there was moved to Warwick long bay Bermuda until Church Bay could be reopened. Seclusion and privacy are part of the draw to Bermuda’s beaches, and Warwick Long Bay offers a taste of travel away from the beaten path without taking you too far away. Cities are close without being too close you won’t lack for anything. Many visitors feel that the level of activity at a beach and its amenities can be the most important attributes. Others feel that opportunities for privacy and spending a relaxing day in the sun are the most important thing. You have many beach choices in Bermuda, and you may decide that Warwick Long Bay is just right for you. Snorkeling is fantastic along the coral reef where the water is protected and calm. The beach is also great for leisurely strolls or quiet relaxation. Who you share these sands with will depend on several things, like the time of day and the season. 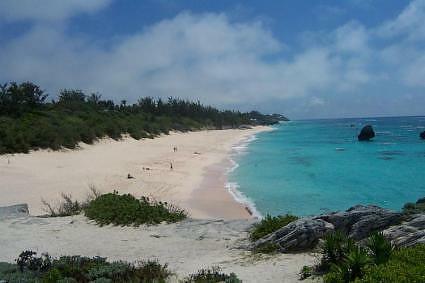 Some of Bermuda’s beaches are more crowded than others especially when the season is at its peak. One of the most important factors when considering a day at the beach may be the size of the crowd you’ll be joining, which is important to some vacationers. While some like a crowded beach with plenty of people and activity, some prefer to just hear the sounds of the surf. Like many other aspects of Bermuda this beach has a distinctive personality which will appeal to some visitors more than others. The atmosphere of this beach is a bit different from most of the other beaches in Bermuda. Warick Long Bay is an isloated beach area, so it is ideal for travelers seeking solitude.